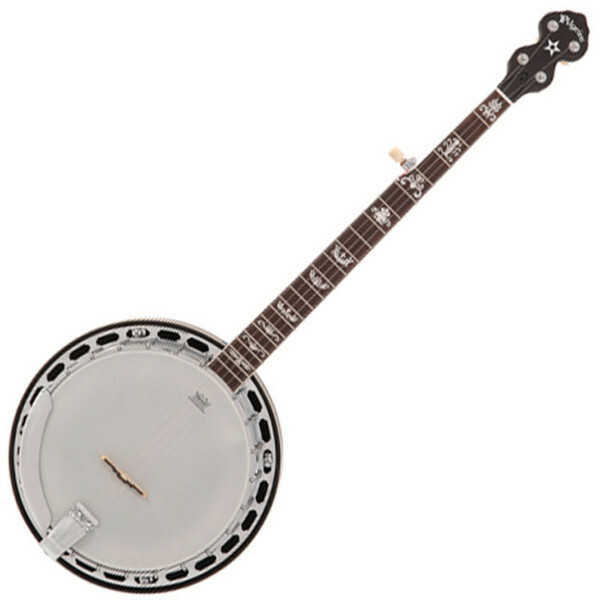 The Pilgrim VPB075 closed back banjo boasts exceptionally high-quality tonewoods and premium hardware, making it the pinnacle of Pilgrim's bluegrass selection. It features a solid maple 3-ply shell with a luxurious flamed maple closed-back resonator, and a 24-bracket top-quality brass tone ring with a genuine Remo Weatherking Coated head. The VPB075 features a maple neck and a rosewood fingerboard.